It’s emerging that a suspected killer of Ahmed Suale has been grabbed by the Bureau of National Investigations (BNI) on behalf of the Criminal Investigations Department (CID) of the Ghana Police Service. Multiple sources close to Silveronline24 say that two arrests were made last week by the security operatives. However, the police is tight lipped over the arrest of the two hoodlums. It is widely circulated that the lead came through an informant in the Zongo community at Nanakrom, near Madina in Accra where Ahmed Suale was killed. 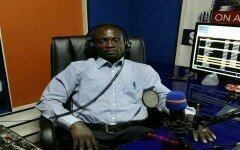 The First Vice Chairman of the New Patriotic Party (NPP) in the Bono Region Kwame Baffoe, alias Abronye DC, during a NET2 television programme a couple of days ago made some revelations about the arrest of the suspects but added that one of the suspects was released on bail at Kotobabi Police Station in Accra. Abronye DC had accused the Kotobabi Police Station of collecting money and granting bail to the suspect whom he claimed works with Anas Aremeyaw Anas’ Tiger Eye PI. 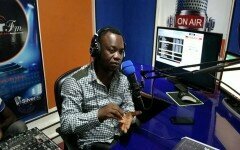 However, the Nima Divisional Crime Officer Chief Superintendent, William Daah, has vehemently denied the allegation.